Another dirty Democrat reportedly facing Federal charges. Let’s see how he wiggles his way out of this one. Democratic Texas Rep. Beto O’Rourke’s senate campaign was flagged by the Federal Election Commission (FEC) on Sunday for accepting “excessive” and “impermissible” donations. The FEC notified O’Rourke that a preliminary review of his campaign’s July quarterly report showed contributions from one or more individuals with addresses outside of the United States. Donations were also made that “exceed the limit” determined by the federal government. O’Rourke has 45 days to respond. The warning from the FEC came on the same evening that O’Rourke was scheduled to debate Sen. Ted Cruz at the University of Houston. 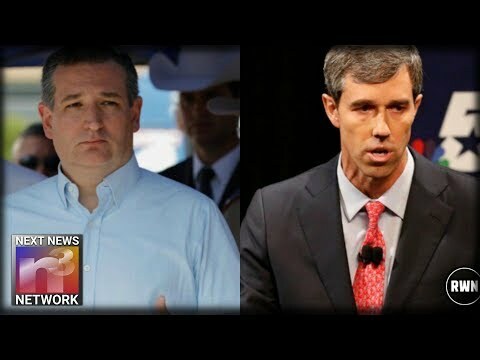 The El Paso congressman declined Cruz’s invitation to the debate, instead of live streaming his repeated attempts at making a campaign ad. O’Rourke notably avoided committing to any debates against Cruz for weeks during the summer and even bowed out of the first tentatively scheduled debate saying he was unhappy that he didn’t get a big enough say in the terms. Cruz and O’Rourke are in a competitive race for the Texas Senate seat. Cruz leads O’Rourke by nine points according to independent Quinnipiac University poll released in September. O’Rourke’s campaign did not immediately respond to The Daily Caller News Foundation’s request for comment. Meanwhile, Ted Cruz is moving full steam ahead with his campaign, winning over voter left and right. What happens when a disrespectful Democratic Representative shames the American flag and the national anthem? A video by Ted Cruz answering the calls of patriotic Texans is just the answer you’re looking for. It was none other than Robert (Beto) O’Rourke who claimed that taking a knee during the national anthem is one of the most “American” things that someone can do in form of a peaceful protest. As much as people are allowed to protest, it’s certainly not very American-like to disrespect the flag of our nation or the people who fought to keep it standing.